Plans to monitor all Britons' online activity are needed to help society fight crime and "save lives", Home Secretary Theresa May has said. 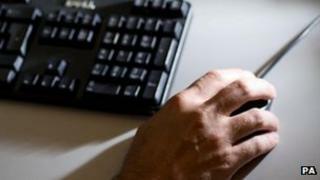 Under draft plans, service providers will have to store details of all internet use in the UK for a year. But Mrs May said the police would only see the details if they had a "clear case" and investigative justification. It was a myth it would allow the government "to read everyone's e-mails", she added. Mrs May is defending the proposals as she appears before a special committee of MPs and peers which is scrutinising the plans. The proposals would require firms to retain the basic details of people's activity on websites, social networking sites, webmail, internet phone calls and online gaming for a year and release it if required. She said "a number of myths" had arisen about the proposals "such as it was going to enable the government to read everyone's e-mails which it plainly, obviously, is not". The authorities would not gain routine access to the content of people's conversations as the scope of the proposed powers would be limited to the "who, when, where and how" of communications. "There is no intention of going beyond that into content," she added. "There is a limited scope for the data we want to have access to. We have been very clear about that at every stage." The police would have to make a "clear case" for requesting access to data when there was an investigation that required it. Pressed by MPs and peers about the range of data channels that would be covered, she said there had to be a "degree of flexibility" to ensure any new law was not outdated by the time it was passed. She said the authorities' ability to keep track of suspects was being increasingly "degradated" by the use of new technology such as social media and encrypted messaging services. And she added: "The aim of this is to ensure our law enforcement agencies can carry on having access to the data they find so necessary operationally in terms of investigation, catching criminals and saving lives." Of the 30,000 estimated cases last year where the police made an urgent request for communications data, between 25% and 40% of them resulted in lives being saved, according to figures quoted by Mrs May. "I think that matters to the public," she told the committee. The police definition of cases that resulted in lives being saved includes missing persons, kidnappings and other crimes where people in potential danger had to be traced, the Home Office said. Lib Dem MP Julian Huppert said the government had failed to adequately persuade the public of the need for new powers or make clear for what purpose they would be used. "There is a lot of genuine concern about this bill and the effect of intrusion into private lives, given the breadth of it." Labour MP Nick Brown said that many of his constituents were concerned that they would be "spied on" and that information could be "illegally obtained" and find itself in the public domain. And Lord Blencathra, the Conservative chair of the committee, urged ministers to restrict the number of organisations that could have designated access to the information to the intelligence services, the police and the Financial Services Authority and a handful of others. "You seem to be edging closer to saying... let's have the big important national bodies dealing with crime, national security, terrorism and then make all the rest go through additional hoops that are much stricter than at the moment." In response, Mrs May said the public was "justifiably" concerned about who had access to the data and they should be a second stage of "extra scrutiny" by Parliament for other public bodies. "There is a necessity in order to show that people can have confidence that these are bodies that are appropriate to have access...that there is an extra rung in the ladder that they have to get up." She said the government was fully committed to the draft bill - but it would be prepared to look at its wording in certain areas to ensure the way it was drafted did not lead to any misinterpretation.